Do children really need sunglasses? 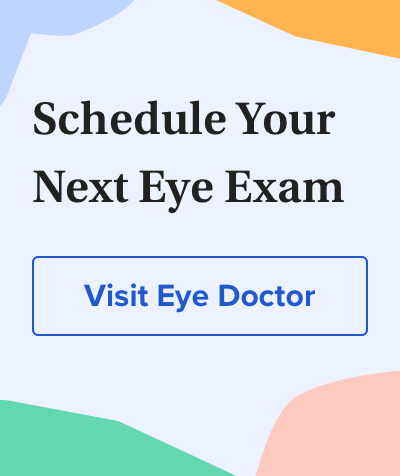 According to most eye doctors and researchers, the answer is an emphatic "yes." Ultraviolet (UV) radiation and blue light (also called high-energy visible, or HEV, light) from sunlight appear to increase the risk of multiple age-related eye problems, including cataracts and macular degeneration. Researchers say the more exposure you've had to the sun's harmful UV and HEV rays during your lifetime, the more at risk you may be for these sight-threatening conditions. Also, children are more susceptible to damage to the light-sensitive retina at the back of the eye from UV rays because the lens inside a child's eye is less capable of blocking UV than an adult lens, enabling more of this harmful radiation to penetrate deep into the eye. of the human eye are not capable of absorbing these rays, which have been shown to damage photosensitive cells of the retina in laboratory studies. By investing in quality children's sunglasses, you are helping your kids enjoy a lifetime of good vision. According to Prevent Blindness America, children's sunglasses should block 99 to 100 percent of both types of untraviolet rays: UVA and UVB. You don't have to spend a lot for high-quality sunglasses that protect your children's eyes from harmful UV rays. Shown here are Explorer and Sky, both by Real Kids Shades. UVA is lower-energy ultraviolet radiation that can penetrate skin and eyes more deeply. UVA rays tan your skin, but they also cause your skin to wrinkle and show other signs of "photo-aging." And because UVA rays can penetrate the eye, they have been implicated in the development of both cataracts and macular degeneration. UVA rays account for up to 95 percent of solar UV radiation reaching the Earth's surface, according to the Skin Cancer Foundation. UVB is high-energy ultraviolet radiation that causes your skin to burn. The cornea blocks most UVB rays from entering the eye, protecting internal eye tissues from these high-energy rays. But overexposure to UV light can cause a serious and painful "sunburn" of the cornea called photokeratitis, which can cause a temporary loss of vision that is commonly called "snow blindness." In addition to causing eye problems, both UVA and UVB rays can cause skin cancer of the face, including the delicate skin of the eyelids and the area around the eyes. UV exposure also has been associated with growths on the surface of the eye called pingueculae and pterygia. can use an optical instrument to determine the exact level of UV protection your child's sunglasses provide. Also, be aware that UV radiation penetrates clouds. Encourage your kids to wear their sunglasses even on overcast days to protect their eyes. Impact-resistant lenses. The best lenses for children's sunglasses are made of polycarbonate. Polycarbonate lenses are up to 10 times more impact-resistant than standard plastic lenses for superior eye protection during sports and other play. Polycarbonate lenses also are lighter than glass or standard plastic lenses for greater wearing comfort. Large, close-fitting frame. For the best protection from the sun's ultraviolet rays and to keep dust and other debris from getting in your child's eyes, a relatively large yet close-fitting frame is the best design for children's sunglasses. "Unbreakable" frame material. Look for children's sunglasses that have flexible frames to avoid breakage and potential eye or facial injury from a frame that snaps upon impact. Spring hinges. Hinges that extend beyond 90 degrees and have a spring action to keep the fit of the frame snug will decrease the risk of your child's sunglasses falling off or getting damaged during sports and other play. An elastic band. An elastic band that attaches to the end of each of the frame's earpieces can help prevent loss or damage to children's sunglasses. Choices include a close-fitting band to keep the frame snugly attached to the head during active sports or a looser-fitting strap to allow your child to remove his or her sunglasses yet keep them hanging from the neck for easy on-and-off use. However, avoid the use of a band or cord that might pose a choking risk for an unattended infant or toddler. For superior UV protection, it's a good idea for kids to wear a wide-brimmed hat as well as sunglasses when spending a lot of time outdoors on sunny days. Researchers say a hat that shades the eyes and face can cut the amount of UV exposure in half. And don't forget the sunscreen, too! Many inexpensive children's sunglasses provide excellent UV protection. This is especially true if they include polycarbonate lenses, because the polycarbonate lens material blocks 100 percent of UV rays without the need for added lens filters or coatings. But cheap sunglasses for kids can pose other risks. In the recent past, the U.S. Consumer Product Safety Commission has required the recall of several brands of cheap sunglasses for children that had surface paint containing unacceptable levels of lead. And the frames, hinges and lenses of cheap children's sunglasses often are not as durable as the components of quality sunglasses for children. Risk reduction for nonmelanoma skin cancer with childhood sunscreen use. Archives of Dermatology. May 1986. Proportion of lifetime UV dose received by age 18: what Stern et al actually said in 1986. Journal of Investigative Dermatology. May 2005. UV doses of young adults. Photochemistry and Photobiology. April 2003. Misconceptions about lifetime sun exposure still abound. The Skin Cancer Foundation. Press release issued in May 2008.